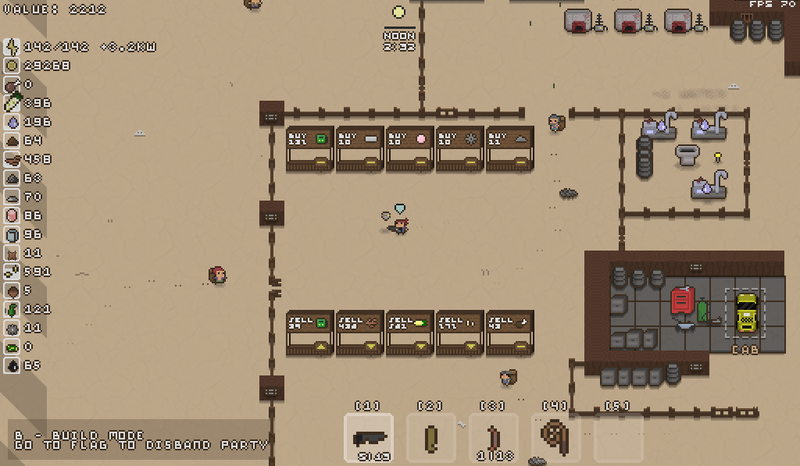 You now build booths to sell or buy goods. You can also set the price to high/med/low. Traders will come and buy/sell depending on the price and their wants/stock. The amount of traders is directly related to your town value. Right now traders have a %10 chance to buy high priced good, a %80 chance to but med priced goods, and a %100 chance to buy low priced ones. In the future this can be improved by improving your karma level. Theoretically you should be able to make money by buying low and selling high. Remember the base price to sell is always lower than the buy price. I like this method better then having merchants come to a booth and leave at night. This seems more organic and makes things feel more alive.